Skiing has always made me nervous. The old saying ‘break a leg’ never seemed so appropriate, although most of my friends seem to come home with sun tanned faces and serious hangovers rather than fractured limbs. I have a feeling the après-ski parties take precedence over wearing the skis the next day. If you’re thinking of skiing but are quite nervous about going downhill or entering terrifying slalom races, cross country skiing maybe for you. It’s cheaper than downhill skiing, the skis and the boots are lighter and you can learn at your own pace. No being shoved down a steep incline by giggling, well-meaning friends trying to cure your ski phobia! 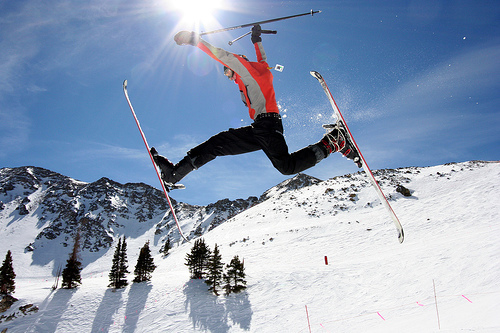 Once you’ve gained experience you can progress to downhill skiing and after several years and lots of practise, you might want to think about attempting some of these, but there’s no rush! The name says it all. Situated on Goat’s Eye Mountain in Banff you’re not even allowed near the place without taking an avalanche transceiver and plenty of equipment to dig yourself out of trouble. Skiing isn’t allowed if there’s a risk of an avalanche – that’s how serious these guys are about safety. Apparently it’s not as petrifying as its name suggests but you can’t fool me. Just one word of warning; don’t try to sneak in without your transceiver, you’ll set off an alarm. Well, I’m not sure what the name of this one suggests! This run is not considered overly demanding technically but don’t attempt it without a guide. Half way down the ‘backside’ lurks a left hand turn with a sheer 700m drop onto jagged rocks below. Yes that’s 700m. Once you’re past the precipice, it’s a doddle. Just don’t slip! ‘For experts only’ reads the sign at the top of this terrifying descent. The angle of this death defying slope is that steep you cannot see what’s coming next. Perhaps that’s not such a bad thing. If you’re ever foolhardy enough to attempt it then beware; in icy conditions it’s not just your legs you’ll be worrying about. 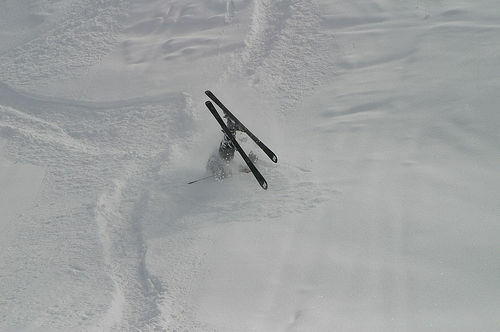 It’s said that every extreme skier should try this run at least once. Prepare yourself for terror in its purest, self inflicted form. Choose to approach this couloir (a narrow gully within the mountains) in one of two ways in a true Catch 22 situation. First, opt for a vertical jump of around 4m before an abrupt skid to prevent you plummeting into the rocks. Secondly, you may wish to choose the rockless option – with a 6m vertical jump. Take your pick but don’t say you weren’t warned. Once you’re past that bit, the rest is a breeze! The danger on this run, as with many of them, depends on the amount of lying snow. The less snow the higher the risk. Without a good snowfall, this run presents the scariest moguls (a bump or mound of hard snow on a ski slope) anywhere on the planet. If it’s icy, all you do is slide. As a final bonus for scary skiing combined with a lack of oxygen, head out to Chacaltaya, the world’s highest ski resort. Standing at nearly 18,000 feet, 18 miles from the Bolivian capital of La Paz, it overlooks Lake Titicaca. This is literally a breathtaking place, be prepared to take some time to acclimatise to the ridiculously high altitude. A note of caution; these runs and resorts, whether on or off-piste are for experienced skiers only. Looking at that lot I think I’d rather stick to horizontal skiing, or something that doesn’t require copious amounts of snow to be safe. Cycling holidays may be the preferred option after all of this, as long as my bike has some stabilisers. You can never be too sure. Kate Smedley enjoys extremely slow cross country skiing on very flat surfaces. 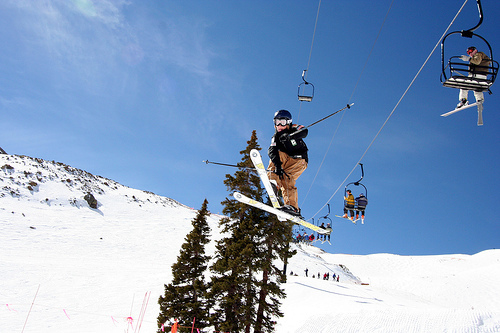 This entry was posted in Skiing, Winter Sports and tagged Ski Jumping. Bookmark the permalink.